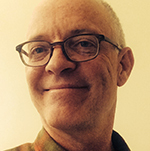 Michael Collier was a contributing writer and editor at EdSource. Some districts are using summaries and graphic elements. The program focuses on developing students’ language abilities. As preschool costs rise, so does stress on middle-income families. President Barack Obama, addressing the surging cost of child care that burdens most parents, proposed in his State of the Union speech to significantly expand child tax credits to help ease the costs to middle-class families. For the first time in California, thousands of early-learning centers across the state, from preschools to licensed child-care centers and homes, are in the process of implementing a common system to rate the quality of their programs.